This morning I saw the heartbreaking news of Lysa Terkeurst's divorce. My husband, life partner and father of my children, Art TerKeurst, has been repeatedly unfaithful to me with a woman he met online, bringing an end to our marriage of almost 25 years. For the past couple of years, his life has sadly been defined by his affection for this other woman and substance abuse. In 2014, 9,967 people were killed in alcohol-impaired driving crashes, accounting for nearly one-third (31%) of all traffic-related deaths in the United States. Of the 1,070 traffic deaths among children ages 0 to 14 years in 2014, 209 (19%) involved an alcohol-impaired driver. An estimated 88,0009 people (approximately 62,000 men and 26,000 women9) die from alcohol-related causes annually, making alcohol the fourth leading preventable cause of death in the United States. Seriously why as a Christ follower would we want to involve ourselves in this activity? Why would we want to expose ourselves to something this destructive? If those above stats were involved with anything else we would do our dead level best to avoid it! Why then are we breaking our necks to join ourselves to its destructive tendencies? A wise man once asked me this question when it came to drinking, 'When do you become a drunk with your first or your last drink?' The devil does not care how he gets us as long as he gets us. Why would we place ourselves in a circumstance that COULD harm our spiritual lives, our families, and our marriages? You might be saying 'Caleb I can hold my liquor' and that might be true, but here is the reality of the issue at hand. You're not the bottom line to your life! What you do can and will affect someone else! Joe White says that 'alcohol and morality are tied together.' If this gentleman had not been involved in the consumption this substance would he have made the choice to throw his marriage away? I say more than likely not! But his morals had been affected by consuming this substance. His being unfaithful was predicated on his consumption of this horrible substance. John MacArthur: “The potential for loss of sense, loss of control, loss of judgment especially with youth...is so high." Drinking alcohol really does nothing for you, in the long run, it destroys everything in its path. * The Bible says not to be drunk, and the line between having a drink and having too many drinks is just too fuzzy. Drunkenness, or being controlled by alcohol (even for a short time), is something that Christ died to set us free from. To me, drinking after He did that would be like being released from jail and choosing to frequent the jail parking lot. * I don’t want to contribute financially to an industry that capitalizes on the pain, neediness, and addiction of anyone. I know too many people whose lives have either been ruined or forever altered by alcohol. 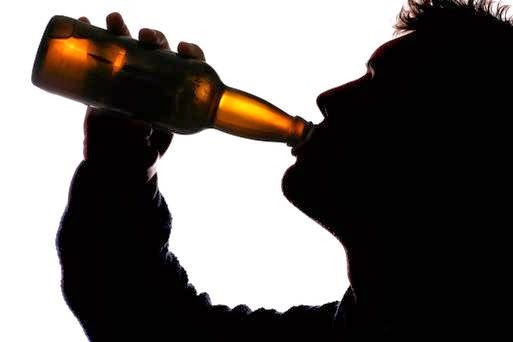 Though many people are able to drink without becoming addicted, I wonder how many people, without realizing it, have come to depend on alcohol as a social crutch, trading in Christ-centered or even people-centered relationships that might have been for ones that revolve around the consumption of a substance. * Alcohol dulls sensitivity to the Holy Spirit. Alcohol creates spiritual static, making it hard for me to discern what God might be saying to me, and I never know what He’s going to say or when. Missing a divine appointment because I chose to drink, for me, would be like letting someone drown because I’m busy watching TV. * I don’t want to exclude anyone or hinder relationships. People who do drink often exclude those who don’t drink when they gather socially. I like peanut butter, but I don’t let it keep me from spending time with friends who have peanut allergies. I simply don’t eat peanut butter when I’m around them. The effects of drinking often carry over into the next day, causing others to feel as if they are less important than the drinking experience to the one who chooses to drink. * I don’t want to point others, particularly my children, toward anything that could potentially become a problem for or hurt them. * If I chose to drink, it would be for me, to fulfill my own desires and purposes, which is where every sin issue I’ve ever had has started. I just don’t want to go there. * If I broke off a piece of the Loritab, Darvacet, Percacet, or Vicadin in my cabinet every time I felt the need to relax, people would say I had a problem. I struggle to see how that is any different than pouring a glass of whatever when I feel the need to chill. * I just don’t need it. As a Christian, every freedom is mine in Christ. In fact, the spiritual yard that the Father has given me to play in is way too huge for me to worry about whether or not to set foot in the 10X10 plot of freedom that is social drinking. * I want to be set apart. The Bible doesn’t say that no one can ever drink, but God does tell several individuals whom He sets apart for higher tasks not to consume alcohol. There has to be a reason for that. On some level, He must value abstinence from alcohol, and, hey, if God is taking volunteers for higher tasks, sign me up! So the bottom line here is we as Christ followers should set ourselves apart from consuming this horrible substance and give ourselves to being controlled and filled with the HOLY SPIRIT over anything else in this world! I firmly believe from my study of God's Word that it will strengthen our families and our marriages if we avoid this stuff! I promise it matters! Ways That Husbands Can Deter Divorce. Today Never Needs To Be Forgotten.